Have you been seeing the number 11 often? I am seeing 1:11 and 11:11 on the clock all the time. Eleven is the number of transition. As it is often said, the 11th hour comes right before the start of a new day. God’s promise to Israel in Deuteronomy 11:11 was that when they finally made it to the Promised Land, they would transition into a season in which they were under God’s continual blessing from the beginning of the year to the end. Eleven is a very interesting number to study in the Bible. While we normally refer to it as a symbol of transition, 11 is also associated with revelation that will help transition us into something new and overdue. The first mention of 11 in the Bible is in Genesis 32:22, when Jacob takes his wives and 11 sons on a journey to return to the land of his inheritance. He originally left because his brother Esau was angry that Jacob had stolen his birthright. Jacob began running from his destiny because of fear. On the night mentioned in verse 22 (11 doubled), an angel visited Jacob and they wrestled until dawn. It was at this point that Jacob received the revelation that he was to change his name to Israel and transition into his destiny with much more clarity and boldness. This took place when Jacob’s wife Rachel had just given birth to their 11th son, Joseph, who grew up to be a prophetic dream interpreter. It was in Genesis 30:22 that Rachel conceived Joseph (again we see 11 x 2 = 22). Joseph’s major gifting was revelation and he was used to transition Israel into a new season of blessing during one of the biggest economic downturns on Earth. In Genesis 31:11 Jacob is visited by an angel and is given revelation on how to prosper under his father-in-law Laban, who had been ripping him off. Jacob used this revelation to transition out of being robbed and into major prosperity and deeper maturity. Interestingly, this took place while Rachel was pregnant with Joseph. It was Joseph who carried his father’s prophetic gifting far more than his brothers. In Genesis 35:11 God speaks to Israel (Jacob) prior to his beloved wife Rachel dying during the birth of his 12th son, Benjamin. This was a time of both transition (losing a loved one) and also revelation: Jacob would continue to be fruitful and multiply. Benjamin carried his mother’s anointing of being loved and favored by his father. The number 11 occurs during the transition of leadership and spiritual inheritance from Esau to Jacob. It is mentioned during a time of revelation on how to gain wealth and to expand the Kingdom of God on Earth. It is also the number of Joseph, who was instrumental in using revelation to bring both transition and prosperity. In Luke 11:11, Jesus releases new revelation that the Father is not mean or judgmental, as portrayed in the Old Testament. This is an example of transitional revelation. Watch for God to provide deeper revelation about who He is and our calling to love the world. P.S. I’ve been helping people for over 25 years discover an easier way to understand the deeper meanings behind their dreams. 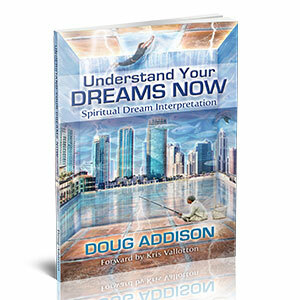 My book Understand Your Dreams Now: Spiritual Dream Interpretation will help you get to your dream’s meaning quickly with pinpoint accuracy—and also includes a Dream Dictionary of dream symbols, colors and numbers. Don’t swear to GOD especially if you believe in him you should know that’s a sin (not that we’re perfect) but it’s a big no no to swear on GOD ALMIGHTY! I’ve been seeing 11:11 or 1:11 a lot since I was young I believe, So I just now decided to do some googling to see what it means and tbh it’s seems very interesting. Maybe we are the chosen ones idk, whatever it is ima pray to Yahweh to enlighten me more on it so I can start my journey on completing his mission. I LOVE YAHWEH THE HIGH ALMIGHTY SO MUCH IF NO ONE LOVED ME ILL BE JUST FINE KNOWING HES THERE WITH HIS ANGELS AND HIS SON YASHUA THE MESSIAH OUR LORD AND SAVIOR!!!! MAY YAH BLESS YOU ALL!!! I wanted to add one thing the 1111 is always around me always. I have had clicks change to 1111 when I look at them. Alarm go off with the number 1111 on it. Total at the register everywhere grocery,fast food, playing a game everything. My family and friends freak out because when they are around me I will point it out or they will see it around me. For over 20 years this has been going on. I’m not a mentally challenged person I swear to God. Hey Carolyn! Look up some Bible verses with 11:11 and see if the stand out to you. 🙂 Blessings! I keep seeing a 4 digit number (1804) but with different permutations. Does it mean anything? It started about 4 years ago and it has been increasingly noticeable and the numbers keep rotating within 1804 every time. I feel like God may be saying something. If you have any inside about this, pls care to share. Hey Kashie! Here is a blog post Doug wrote on numbers that may be helpful for you, https://dougaddison.com/2014/09/adding-it-up-what-do-numbers-mean-in-dreams/. God bless you! The first real time i really recalled seeing 11:11 and fully understanding its meaning was when the pallbearers lifted my mom’s casket into the hearse. At that time, I had also become a devoted Christian. When they were transferring the casket, i had called upon God inside my heart asking if this was really how it was to be? And then i had an inclination to take out my phone. 11:11. It is with this that i was able to hold back my tears. I interpret 11:11 to be a sign of yes and “move forward/go ahead”. That 11:11 lifted my spirits and i knew God was by my side. Since then whenever i wasnt sure of my direction, when i see 1s in 10:10 11:11 etc etc., I feel it’s God’s way of letting me know “I AM ON THE RIGHT PATH”. On the other hand, i have also seen the clock display :57. i have tested more times than once, recalling what i was thinking when i saw this :57. I had an intuition to link this to the verse of peters 5:7 cast all your anxieties to Him. Everytime this has appeared was when i was stressing over a situation; seeing: 57 told me to rest in God. Everytime without fail, the situation sorted itself out. Thank God. Praise to Him. My cousin who also became a Christian shortly after me has also started seeing these numbers appear, as well as 222, 333 etc. Hey Fas! That is super cool! Doug has another number blog that your cousin may enjoy. You can look into that here, https://dougaddison.com/2014/09/adding-it-up-what-do-numbers-mean-in-dreams/. God bless you! Verse numbers were not given to each of the writers of the 66 books contained in the Bible by God. Verse numbers were not inserted into Greek manuscripts of the New Testament until the 16th century. Robert Estienne (Robert Stephanus) was the first to number the verses within each chapter, his verse numbers entering printed editions in 1551 (New Testament) and 1571 (Hebrew Bible). Thanks for sharing! Bless you! Hey Walid! You may also want to find Bible verses with those numbers and see how those apply to you. God does not want you angry but He will show you. God bless you! Good morning! I have read your book recently and just stumbled upon your website! Thank you for all the resources! I was looking over 11:11 because, not only to I see it all the time, but it seems to be a stamp on my life. I was born 11-11 and my initials, KK are the 11th number of the alphabet. There have been numerous other instances, but I remember in the book how you saw your whole life in parables, so now I’m looking into this reoccurrence in mine. My first thought is simply a reminder that this world is not my home, but heaven: my whole life is that transition. Any insight would be much appreciated! Thanks for sharing Kate! You can ask God what that number means for you and see if any Bible verses stand out to you. God bless you! Awesome article. I had an interesting dream where the devil came to tempt me with false signs and wonders. I’ve told God several times that i didn’t want to chase after signs and wonders but Him and i welcome the signs and wonders that come with being close to Him. (I grew up in a church thats weirded out by tongues and stuff). I feel like satan asked to test me on that and I passed. I rebuked him and immediately an angel joined me and we laughed and laughed at satan and a cup he brought to give me (filled with grey gunk and wormy bugs). We laughed at him failure and that he thought i would give in. I woke up and looked at my phone right at 1:11 on 1/11 and the soaking music I had playing was at 11 seconds. Later that morning i looked at my phone again at 11:11 so i decided to do some research. Thanks for sharing your dream with us Jenny. God bless you! I am a Christian of 44 years. Over the last two years I have been seeing the numbers 1:11, 11:11, 123, and 1234 repeatedly. Sometimes several times a day. At first I thought God was saying to me that He was sending me forth to minister in the eleventh hour like the eleventh hour parable in Matthew chapter 20, because he is indeed sending me forth now 40 years after I finished Bible College. I viewed the 1234 as his message of putting things in perfect order in my life. But I have never had peace that I was hearing him correctly, or even at all. After searching the internet I see this experience is happening to Christians and New Agers alike. That causes me to question its origin. A large number of Christians have posted their interpretation and meaning of seeing these numbers, but it seems everyone has a different interpretation. The Bible does say in the last days men and women will see dreams and visions, but it never says they will see numbers in need of interpretation. I believe what we are actually seeing is an OMEN and to seek the interpretation of an omen is strongly condemned in the Bible. Scripture teaches the False prophet of Revelation will show signs and wonders that might even deceive the elect. So my “personal” conclusion is this a test from God to sharpen the discernment of those who today do indeed see dreams and visions. We must know the line of where the spirit is his or another’s. So, 1) God is not the author of confusion. And according to the internet everyone, both Christians and New Agers, are confused by this. 2) The scripture teaches to not believe every spirit but to test everything (I say test according to his Word). Apart from attempting to use bible verse numbers (which are not inspired) to secretly discover a “hidden” (occultic) no test is being made. 3) while interpreting omens is the norm for New Agers, it is strongly condemned for Christians. Therefore, I will resist the enemy’s deception, ignore the numbers and simply live by faith in Jesus Christ knowing he directs my steps. Thanks for sharing your opinion. God bless you! Can 11: 11 also be a good sign? Yes, Doug says in the blog post above that 11 can be associated with revelation that will help transition us into something new and overdue. Bless you! Jeremiah 29:11 I hear God in a dream. Love that Bible verse! Bless you! Hey! It can have the same meaning in a dream as it does in life. Doug has an article on numbers in dreams that might help you. You can look into that here, https://dougaddison.com/2014/09/adding-it-up-what-do-numbers-mean-in-dreams/. God bless you! These are the numbers I see keep repeating. I have been seeing these numbers roughly after I made the decision to make some serious changes in my life. I believe the LORD can speak through many things, numbers, sound, light and his creations, but the numbers are the one that really have puzzled a lot. This is what I have learnt though. When you see these numbers, analyze what happened before and what occurs after, any dreams or scriptures that you’ve had or read. I remember one experience telling a friend about the recurring numbers 9:11 everyday, at first he laughed a bit, roughly less than 10 seconds after a car drove by with the number 911. That was weird yo! Great! Thanks for sharing the numbers you are seeing. Blessings! I have been seeing 11:11 for a couple of years. Thought it was just a fluke but today I saw it again this morning and just was pushed over the edge to see if there was some biblical significance and your page jumped to the top of the search. Great Manny! I am so glad that you found this blog post too. Thanks for sharing and God bless you! I know this is an old one, but it is useful. Today is 11/11/18 and at 11:11 today the Lord had me look at my car clock and He said the word Freedom. I have been praying about transition. The Lord has place this on my heart and I have been praying with a friend for a year about steps to take in our future. So He leads and we keep praying. THanks for the revelations. Awesome! Thanks for sharing Bethanny! Thanks so much. I have been seeing 11 for over two years. Your post opened my eyes to what God is passing across to me. Please I need for explanation on this. Awesome Oludayo! I am so glad to hear that. God bless you! Hey Mary! The best way to know is to keep track and to listen to what the Holy Spirit is saying. Hello, I had been seeing 9:11 from about Nov. 2017 thru March 2018. It then changed to now seeing 11:11, 11:01, 1:11 and sometimes a different number with x:11, ex. 6:11 or 2:11. It’s been coming on more and more and daily I see this without liking for it every time I look at the time on my phone or on a clock. I do have a ministry of Helps and the Lord has been showing more shifting, adjusting and transitioning myself and the ministry. But doesn’t 11 also represent some sort of judgement? Hey Catherine. What Doug has found for the number 11 he has included in the blog post. If you feel the number has a different meaning you can ask the Holy Spirit to show you what it could mean. Bless you! I’ve been seeing 11:11, 1:11 for almost a year now. Before this, it was 9:11, and that started in 2011. I’m now starting to see it on Facebook, 111likes, 111 coments ect… My spiritual life has been in a transitional phase since 11:11, 1:11. Luke 11:11 speaks to me, as it mentions the Father giving his children who ask, the Holy Spirit. I believe this is what has happened to me when I was baptized almost a year ago. Awesome! Thanks for sharing Eddie! Bless you! After she shared this with me, I didn’t see it anymore but, I started seeing 1111. I started taking pictures every time I saw it. I have dozens of pictures of 1111 and a few 111 for the last 6-8 months. The concordordance didn’t seem to apply this time but I found your page. I wanted a Biblical, not a new age, perspective and I got it here. I’ve been praying for healing for fibromyalgia because I had to quit teaching special education. I’ve also been praying about finances to help special needs adults because there is such a need after high school. If God gives you a calling, He will also provide for that calling! Thanks for sharing Sharon! You have such a kind heart. Here is a blog post Doug did on getting a breakthrough for both healing and finances. You can read about that here, https://dougaddison.com/2017/11/getting-a-new-strategy-from-god-for-healing-and-financial-breakthrough-episode-34/. Bless you! Was diagnosed with stage 4 kidney cancer in feb. Since then I’ve started seeing 11:11 – 1:11 and 4:44. At first was the odd occasion. Now I see it all the time. On a daily basis almost. I’m wondering what it’s trying to tell me – I don’t quite understand yet. I’m embarking on a spiritual and emotional healing side of things this week and have an intense healing session coming up soon. I’m in the middle of fighting this and have my ups and downs – lots of tears and lots of laughter – lots of fears and lots of trying to stay positive. A few people have tried to take from me while I’ve been ill, and I’ve addressed things with them and spoken out which I am usually too shy to do so I bottle up my anger and disappointment and use to ask my mum to sort stuff but this time I faced them on my own which made me feel guilty but good for letting it all out. So, I’m wondering what’s going on? I’ve been afraid I’m not making the right decisions by my health or healing – but maybe I am making good decisions – I don’t know? I’m confused at the hidden messages? Hey Ange. I am so sorry that you are going through a hard time right now. And here is a podcast on God’s nature I think you might enjoy, https://dougaddison.com/2017/10/your-identity-in-god-the-key-to-transformation-conversation-with-graham-cooke-episode-30/. I’ve been seeing the numbers 11:11 – 1:11 and 4:44 all the time in the past 5-6 months. At first it was now and then – now it’s ALL THE TIME! It’s freaky. I was diagnosed with stage 4 kidney cancer in feb and have been on a roller coaster journey with it. To doctors surprise I’m actually doing quite well and bloods and stuff come back good. I’m up and about apart from tumours on my spine which I’ve pushed to get surgery done on. My theory is if I can fix my back then I can have a good go at dealing with the rest without the back pain. So, lots of treatments going on, and I’m going through the motions. Some days good some days not so, and I wonder if it’s a healing crisis sometimes as I come right the following day. These numbers have been crossing my path on a daily basis now almost. I dont know what it’s trying to tell me. I’ve also been doing a lot of spiritual and emotional healing and we are about to embark on a very intense healing next week. What’s your views on the whole situation? Angelina, I am so sorry that you are going through a hard time right now. As Doug mentions above, 11 often means transition. So seeing the number a lot can be the Lord showing you transition is coming or you are in transition. Doug talks more about numbers that you can read here, https://dougaddison.com/2014/09/adding-it-up-what-do-numbers-mean-in-dreams/. Doug also has some healing resources that might help you. You can look into them here, https://dougaddison.com/healing-resources/. Hi. And thank you for your insight. I first learned about numerology in my teens. That is when I realize my name was a 22 for my first name and 11 for my last name. My understanding at that time was 11 should stand alone and that was a warning to be careful and fortold of unexpected problems and trouble. With that in mind , I started to use my middle Initial to balance the numbers. I have always been wary of the number eleven. And have try to avoided it when making important decision. On days that are 11 or 22, I remind myself to be extra careful. So my question is. Should I continue to gave these concerns. It should I embrace that I live by these numbers every day. Since my name is 2211. PS. This has been for Iver many years since I am over 50 years old. Hey Carol! Some numerology out there is not rooted in Biblical interpretation. We recommend looking at numbers through a lens of Christianity. 11 is often a number correlation to transition in the Bible, which does not need to be feared. God bless you! I keep seeing 1:11 and 11:11 and I have been trying to overcome my past sins after being saved. I knew better than to do what I did and I can’t seem to get this off my back. Does seeing these numbers indicate God is going to restore me? Hey Jon! God is always restoring. My heart goes out to you because I know how much God loves you and is for you. Here are a couple podcasts I love to recommend when people might be struggling. Praying for you now Jon. God bless you! Hi, and thank you! My question: is there often trial & tribulation/persecution during the transition? Rather than before? Thank you, and many blessings. Hey Janis! Doug has a blog you can read that talks about how things can get harder before they get better here, https://dougaddison.com/2015/06/breakdown-comes-before-breakthrough/. been seeing 11:11 consistently for over a year. at houses in the next town from my daughter. house, but I don’t have the money of course. the spirit, so I am hoping for blessings. Please answer me if possible. Hey Anne! No, it is not wrong to ask for a house. I am agreeing with you for a beautiful home. God bless you! I have been seeing number 11 everywhere since late last year, and I knew it in my heart that God was using this number to speak to me. I’m glad to have found this website. Whatever Doug has written here is already happening to me. I know that God is preparing me for a bigger harvest, and to shepherd His people. God is good.I have found a part of the answers to my questions. I had been so frustrated about what God had to say about this number, but today I found an answer. I know that God wants to say something more. Actually as I am writing this I see number 11 again. It is so intense. Wonderful Lori, I am so glad that you were able to get some clarity on the number 11. God bless you! Wonderful! God bless you Joe! God bless you Pranav as you step into everything God has for you! Hey Teresa! Doug wrote an awesome article on numbers that you can look at here. God bless you! I know it’s almost a year later since you wrote this, but I am seeing 111 or 1111 ALL THE TIME for about the past 3 months. Transition is exactly what I am feeling right now. Discovering my identity and moving into my original calling (vs me forcing things in my life). Very exciting. That is wonderful Angela. Praying for things to be more clear for you as you step into everything God has for you. OMG, this was so profound – I have been seeing 11, most of my life but since August last year it started becoming apparent that it is “something”. I am born on the 11th, and in the tribe of Joseph(so I’ve been told by my friend who is journeying with me on this). – I would wake up, and see it on the clock, go to the shop and see an aisle with row of prices, 11,11,11,11. I would be in a queue and the 11th cashier would call me to be serviced, I would see on my pc, in my car…. I now have an indication of what it is – but need to awaken to what the steps are that I should take…. Thanks, this is the start of my journey to awakening to be ready for the transition, to take it boldly! Wonderful! I am so glad that Doug’s blog post was helpful to you in understanding the meaning of 11. God bless you! Hi. I have been asking God what it means for me. I see 11, 111,1:11 and 11 in other numbers. My oldest granddaughter was born 11/11 and her sister was born 1/11. I am seeing these numbers constantly. It is so frequent I have begun actively seeking God for meaning. It has been 2 years since my daughter died. I am not sure it is transition. It has been 11 years since my first husband passed away. My husband (the second ) got an estimate for dental work, $711. There’s the 11. Receipt totals with $11 or ending in11 cents. Gen. 1:11? I am so sorry about the loss of your daughter Mechele. We are unable to offer exact interpretation of numbers in a person’s life. We always suggest asking the Holy Spirit to show you if the numbers have a specific meaning in your life. God bless you <3. Very cool Celeste! Doug wrote a blog post on more numbers here. Bless you and your daughter. My Boyfriend has been seeing 11’s on the clock for a little over 2 years. I did not know this till he started bringing it up a little over a year ago, because it bothered him so badly. I used to think he was losing it, until December of 2016 I have see on the clock right on time, I can be doing anything out of the ordinary, working, driving, anything soon as I wake up 6:11, 7:11, 8:11, 9:11, 10:11, 11:11, 12:11, 1:11 etc all day long now I see 11’s just in passing like driving or anything. I am now going to buy my first home and the homes I look at some have 11. My boyfriend was born on 7/11 and I just cannot put my finger on it. I am at work and it turned 3:11 not too long ago, it happens every hour. I just wished I could understand it more. Sometimes it scares me and sometimes I just pray that I am doing the right thing in life or my angel is trying to tell me something. You can try sitting with God and ask Him to show you. God adores you Sherry, you are His love. I have seen 11:11 or 1:11 at least daily ever since my mom died…on 11/11/01. Six months after she passed, my husband died (He was 32 and I just turned 30.) To say that my life has been in transition ever since is an understatement! I always felt like it was a sign but wasn’t sure what it means…. I’m so glad you got some confirmation Deidre. I am so sorry for your losses though. Bless you during this time. Greetings. Thank you for this helpful post. It’s been long time that i have started to observe two numbers. From the beginning I knew it was from God. When I do good the good number appears when I do wrong the other number. I have never shared this with anyone. Sometimes I get afraid of disappointing God over getting obsessed about numbers. I have also struggled to ignore it but, it didn’t stope following me. By seeing this numbers I know when my prayer is heard and when I have to pray hard and behave well. Thanks to your post. I will consider it as a blessing and listen to the Lord when he directly speaks to me in numbers. May God bless you more and more. I’m so glad this post was helpful to you! Bless you! Thank you for this post. I see 1:11 or 11:11 all the time everywhere. On the back of a bus, videos that last 1 min and 11 sec, or a building number it also is my date of birth I was born on January 11th. My best friend and I are 1year 1 month and 1 day apart she’s my 111. I see it all the time as I mentioned and each time I feel a sense of peace and believe God to be saying that I’m on the right track and headed in the right direction. Anytime I am praying for direction I see it. 111 is my confirmation from my heavenly Father. That is very cool Krystal! I love when God gives us confirmations. Bless you! as from 11th February 2018 every morning when i check time from my phone i found it as 11:11. I told some of my some people working with . It was my first time since i was born, i had a shock. I do believe that God will take me from where i am and take me somewhere else. Wonderful Tebby! I would always see the clock at 1:11 too. I love how you are declaring those Bible verses over your life. You are blessed and God adores you. I left a reply the other day…where is it? Hey Lydia. We are not have the team in place to interpret dreams at the moment. Doug wrote an article on nightmares here. If you feel burden by the dream, take it to the Lord and ask Him what to do. God might be wanting you to intercede for your grandson. This was so helpful. I, also have been seeing the numbers 11:11 & 1:11 almost daily for 3 months on my clock and cell phone. Thank you for your insight and wisdom into the scriptures. Awesome AG! I am so glad this article brought you some clarity. Bless you! I’ve been battling addiction to meth and other things that have gotten a foothold on me. See my problem is deep,. Im a believer who’s asked for forgiveness and excepted Christ as my Lord and Savior, only to fall to temptation and evil whispers, knowing full well the deliberate partaking and literally running as fast and far away as i can. One thing is for certain no matter how fast or far I run I can’t outnrun His Love and Mercy and Grace! Ive lost trust from family and friends, lost the love of my life and my 3 year old daughter because of what I’ve done, just a month ago we were on the right track to a reconciliation and what I thought was sobriety, only to lose it all in one stupid decision to listen to the whisper and get into my head. Long story short, I’ve been seeing the nunber 111 and 1111 A LOT!!!! I recently just came off of a binge and have been balling my eyes out and asking for God to deliver me and to return what the evil one has took from me. This article was extremely insightful and had given me hope. Thank you for sharing. TJ, you are right, God loves you so much! I am agreeing with you for complete freedom in your life and for you to step into everything God has for you. I am so glad you found this article and it brought you insight. We are for you! Bless you! Okay I don’t like sharing any part of my relationships little tips with God but the double numbers are angelic confirmations of timing within as far as I learned from myself. Josuah 9:9-16 about taking provision for your journey, so when I see that code I can know that’s for my own. Hey Atiya! Doug mentions double numbers in his blog post here. He says when you see numbers line up on the clock like 2:22, 3:33, etc tt could be the meaning of the actual number or symbolic that things are about to line up for you. The only way to know for sure is to record it, watch for it and ask God for confirmation. Bless you! Doug mentions 13 here, https://dougaddison.com/2014/09/adding-it-up-what-do-numbers-mean-in-dreams/. He states though that these are basic understandings, and you should always seek God about the meaning. Thanks for sharing Dolores! I am so glad he came back home! How wonderful. Praying now for your family during this transition. I’ve been seeing these numbers for almost 10 yrs. why so long seeing these? Am I in constant transition? I knew about most of these scriptures. Thanks for more of them. I really wish to get to a better place than I have been in. Hey Patricia. No, it means you are hearing God for you, your family, your work, and places you’re connected to in your community. When you see the numbers that prompt your spirit to pay attention, ask the Lord who or what it’s for and just bless that area with hearing God and coming into alignment with God’s plan. Bless you Patricia. Agreeing with you to step into everything God has for you. He loves you so much. There’s someone I’ve been praying for and feeling in my spirit heavily as if something is burdening them. For the last few years our relationship has been extremely damaged. I’ve been praying for restoration and have had dreams of resortation as well as prophysies. This person usually doesn’t reach out to me but has started in small ways by texting. One night while covering the person in prayer for a few hours,strangely after the prayer I received a heart from the person at 11:11pm. Could this be a sign of God working and using that time as an indication? Wow Vae, that is awesome! You can ask God what it means for you. Bless you and your relationship with this person <3. I see 3:33 all the time,been seeing it for years. I went through a period of time I would wake up at 3:33 every morning. I always see it in my everyday goings on. I see it on my phone in my car on the digital cable box and at the grocery store. Thanks for sharing Stacy! Bless you! Interesting revelation. I would disagree with one thing. I do not see God portraying Himself as mean or judgemental in the Old Testament. He is righteous and holy and always acting in accord with this reality which ultimately is for the good of His loved creation. His judgement of sin is actually His mercy. We never would have seen a savior without it. Thanks for sharing Tamara! We would agree with that. What Doug meant was how some people have perceived God in the Old Testament. Bless you! Thanks Doug. What would it mean when there was the case with 22:22, 23:32, 21:12 or 20:20? Hey Damir! Doug wrote an article on other numbers here, https://dougaddison.com/2014/09/adding-it-up-what-do-numbers-mean-in-dreams/. With numbers it could be the meaning of the actual number or symbolic for something else. The only way to know for sure is to record it, watch for it and ask God for confirmation. Bless you! I was born on 11-11! What does that mean? Hey Yvonne! We do not have birth date interpretations <3. Bless you! Thank you Doug for the word. I found it very interesting in more ways then one. For one, today is my birthday. 🙂 And I love this word for today. Happy Birthday Patricia! May this age be one of your best yet! Bless you! The numbers I regularly see on the clock are 7:11, which also happens to be my birthday. Im just not yet sure of the meaning. Hey Michelle. Seeing your birth date on the clock often can mean God is getting your attention about giving you gifts. He wants you to know He is blessing you. So bless you Michelle! You are a beloved daughter of God. This has been quite interesting to understand what the number 11 means. For a few years now I see 10:11 all the time! Everywhere I go, I see 10:11. It is also my one son’s birthday. Can you help me decipher what God is saying in these 2 numbers? Hey Kelly! With numbers it could be the meaning of the actual number or symbolic for something else. It could be related to your son since its his birthday or it could be something else like a Bible verse. The only way to know for sure is to record it, watch for it and ask God for confirmation. Bless you! Thank you, this was so enlightening. Wonderful Susan. I am so glad you enjoyed it. Bless you! Can transition mean good or bad? God always intends transition to be good for us, though we most likely have to walk through trials to get us to where He wants us. How cool Yesi. I started seeing my birthday on the clock a lot about a year ago as well. This is a time God is reminding you of His blessings in your life. I started to see it during a very hard time in my life where there was lots of heart ache, but also tons of blessing. When you see it, you can think of it as God smiling at you, letting you know He’s got you and loves you so much. Praise God….the Holy Spirit woke me up at 3am yesterday and would not let me go back to sleep. He specifically told me to “look up the biblical significance of the #11”. I have been asking the Lord to reveal to me what He meant and I believe that this is from Him. Thank You!! Yay! That is wonderful Kerry! Bless you! Glad you enjoyed it Bill. Bless you! Hey Karen, I would ask God about it and see what you feel in your heart that He is saying. It makes me think that is a strong reminder to be praying for your boyfriend. Often when I see a name a lot or something relating to someone, I think its either God guiding me to pray for them or there is something about that person God wants to tell me. It just depends. Finding pennies a lot is finding change. There could be change coming in your life. Again, keep doing what your doing which is noticing these awesome occurrences and asking God to show you. Bless you! It’s a blessing to find this article! I found it when I began doing research about the number 11, for the past three months I see the clock at 11:11 almost every day and often times immediately after daydreaming. Ive also found that the number 7 is quite present. My father passed 7 years ago, is 2017, I’m 27, I work on the 7th floor, and a man once told me my life would change at 27, could this be confirmation from God? Sara, it could be. Often God speaks through numbers. We see this in the Bible. Here is another one of Doug’s blog posts on numbers, https://dougaddison.com/2014/09/adding-it-up-what-do-numbers-mean-in-dreams/. Ask God what He is saying to you and it often helps to keep a journal of what you feel He is speaking to you. Bless you! I have seen 9:11 for at least 18 months now. This helps with the “11;” How the “9”? Thank you for the insight and revelation on 11:11. I too have been seeing these numbers for quite some time now and felt it was from the Lord. I now will pay closer attention to all that it means for me and TRUST what God is preparing for me. Wonderful Sherill. As you continue to pay more attention to numbers they will start to stick out to you more and it will be super fun to see God speak in a new way to you! So I got to DMV today at 2:30pm for a 2:45pm appt. The woman at check in desk couldn’t access the appts on computer– for some reason–so she gave me a “priority” number. The ticket # was: “1 110”. With in minutes my name was called to report to the open booth. Guess what the station # was? 11… ahhh!!! Love that Ruth! Favor of the Lord right there. Which is always extra wonderful at the DMV haha! This is where I saw this writing about the numbers 11:11. I knew this was something for me. I’ve been seeing 11:11 & 1:11 lately and have been looking into Word. What Doug says about crossing the Jordan and taking possession of the land is what I needed to hear!! Bless you Wanda for still having such hope! You are loved and seen by God, He knows exactly what you need during this season of your life. 11 years is a long time, God has been with you through it all. I admire your strength of still holding on. Here is an article Doug wrote on difficult times, https://dougaddison.com/2017/03/how-to-use-your-difficult-times-to-your-advantage/. Long story short, I attended one of your conferences in CO about 7 yrs ago. I had been seeing 111 for nearly 2 years by that time and in the middle of speaking, Jamie Galloway asked who there had been seeing 111. My knees nearly buckled. I had been begging God to please reveal the purpose of this ‘haunting’, or was I just going crazy! There were two of us. He said God wanted us to know that Joshua 1:11 was for us that stood up. I have prayed and asked for interpretation from God. He seems to have me on alert but nothing specific is happening. I feel that I am watching continually, waiting for the ‘timing’, the ‘green light’. Can you speak to that at all? Hey Cindy. How cool you were at one of Doug’s conferences. So if you felt that was for you, then God may want you to be praying into Joshua 1:11, which you may do doing already. I cannot give an exact answer, as this is between you and God. But looking at the the verse, it is addressing how they about to enter into the Promise Land and to get ready to leave the wilderness. Sounds like an awesome situation to get prepared for blessing. How does this apply to you? Are you made to be an encourager and help bring people out of the wilderness and into the promise land? Are you someone who has the faith in the wilderness to say, ‘Guy’s we’re so close! Get ready! Expect great things!” If so, that could be what God wants you to be doing. We need people like that during these times when many people are discharged and feel stuck in the wilderness. Bless you! Several years ago, I had a pastor that preached on Deut 1:11. Saying God increased 1000 times more in 1000 ways more. I have seen this so many times recently (111 or 1111) I just thank God when I see this, for whatever that is and whatever it means to me. I love that LaNette. That was the first reoccurring number I always saw too, and my friend told me about Deut 1:11 as well. What a beautiful verse to be reminded of often! It is a calling out to a special breed.. a gathering of people uniquely touched by God for his purposes in earth that only communion with God will release to them. Our spiritual heritage!! Jesus calling!! Thank you Bonnie! God is so good! I see 1212, 717 and 818 since last yr. Please help. Hey Pat. Doug wrote an article here on other numbers, https://dougaddison.com/2014/09/adding-it-up-what-do-numbers-mean-in-dreams/. Also, you may want to try looking up those numbers in terms of Bible verses and see if any of the verses stick out. Since the beginning of the yr .
Baby boy then I saw marble falls I went into the water swam backward with the baby in my arms. The water was blue and beautiful. Thanks for sharing Cathy! What a cool dream. Bless you! the (11’s.) have been more prominent! I did a painting with 11:11 in it as white pillars. It is a very symbolic art piece that tells a story. And I left a message in one of my albums re:11:11. Awesome Libby. How cool that you painted 11:11. I’m sure it is a beautiful painting. Bless you and your artistic gift. i have seen 11:11 and 1:11 for several years. i just knew it meant sonething. i bought a house and my address is 1111. Awesome! Congratulations on the new home! That is so exciting. Praying now that God’s presence fills your new place. I’ve been noticing 11:11 on clocks much more frequently over the past few weeks and have been asking God about it. I have been feeling that a transition is coming and this has just boosted my faith for that. Thank you! Woohoo! That is awesome Grant. I love that you took notice. Bless you! I found this extremely interesting. Thank you. I have been seeing 9:11 constantly on clocks etc for years. At first I was terrified if meant a disaster like 9:11 in USA!! Someone told me it meant healing and deliverance ministry like Luke 9:11 indicates. During this time I have been having very deep spiritual ministry and deliverance from childhood trauma/issues. Would be interested in your opinion in what 9:11 indicates?? Hey Christine! It all depends. See what happens when you see that time and keep track. The thing about some numbers if they mean other things to other people and God may be trying to tell you something that fits your situation specifically. Ask God and He will keep talking to you and make it more known :). I started seeing 11:11 in 2015 and it is so good to hear more about that. I so appreciate your insight and understanding of what is happening right now in our times. I read all your blogs and look forward to what you are hearing from the Lord. Wonderful LuAnna. Thanks for following Doug’s posts. Bless you! Yes!! I keep seeing over and over and over. I’ve seen it before but never as much as now. I’ve also been seeing 2:22, 3:33… and all the numbers duplicated. It’s crazy. But not as much as 11:11 and 1:11. On our drive home just today I said to my husband, “I feel that it is time for us to not be challenged financially anymore. Like a shift is happening.” Then I said that we should keep our eyes open for new opportunities and options financially. Wow, this is quite an awesome confirmation. Thanks for sharing it! Awesome Carole! Bless you and your husband as you both step into a new season of financial blessings. I have been seeing 11:11 or some variation of 11 as well as 3:33 or 33…more than a dozen times a day every day for the past year and a half! Not exagerarinh to say that some days I will see these numbers 50 times or more. Recently it has been 22 and 44 added in a lot…as well as 48. Wow Cameron, that is a lot! Here is another post Doug wrote on other numbers that might be helpful, https://dougaddison.com/2014/09/adding-it-up-what-do-numbers-mean-in-dreams/. Thanks for this confirming word. Doug bless you for your obedience to the Lord. I have been seeing 1111 as well as 211, 311, 411, 511, and so on this has been going on for a year or so. Do you have somewhere I can look these up or help me with what they mean. Hi Doug I have been seeing 1111 every day for two weeks also 555 and 333. What are the meaning of the 5s and the 3s? Hey Lisa, good question! Here is another article Doug wrote on numbers that may give you further insight, https://dougaddison.com/2014/09/adding-it-up-what-do-numbers-mean-in-dreams/. Bless you! Awesome Bionca. You are a mighty woman of God. Bless you during this season of growth. I too see 1:11 often :). First 3 months of this year had a wonderful time learning and attending courses to be ordained. I received my certificate and by the next night I was fighting for my life on a vacation we had just arrived to in Cozumel. I was flown home to hospital and had surgery and recovered at home. At home, I discovered immoral sexual activity husband was involved with!!! Divorce finalized in August after 21 yrs! Now my daughters and I will be looking for our new home (our promise land). A place where the Lord will be continually with us. Needless to say, I have seen 11:11 ALL YEAR LONG!!!! People of God, please pray for direction towards our new home! I loved this article on the number 11! I have also been seeing multiple numerical sequences in time and others places a lot lately (ie. 2:22, 4:44, 555, etc) Is there a correlation between the meaning of 11:11? Does it also mean transition and revelation? Good question Leah. Doug has a blog post where he talks about other numbers as well, https://dougaddison.com/2014/09/adding-it-up-what-do-numbers-mean-in-dreams/. Bless you! I follow you on FB, I saw this referendum just now on your wall. On 1/11/2011 I was visited by our Father and ever since then my life has changed. I saw Jeremiah 1 : 11 about the Almond bud and the rod. Also Deut. 1:11 our Holy Spirit showed me about multiplication. Then about giving in Ecc.11:1. Thank you so much for sharing. My eyes have been opened. Abundant blessings to you and yours and your ministry. Fresh daily infilling of His presence. How cool Cheryl! I love that! What an amazing experience you have had the past few years. Thank you for sharing such a beautiful testimony with us. This blog was so clear and helpful. I’ve seen 11:11 and 1:11 for years and years. This number has not been my friend. Through it I’ve lost a marriage, lost my father, lost my home due to job loss and had to move out of state – away from everything I know. I’ve been incredibly devalued in the business world. I’ve recently moved to Salt Lake City. This is a land of tall mountains and beautiful valleys. There is even a Jordan River south of here! This prophesy is a literal thing for me and my hope is returning knowing that I’m supposed to be here and the Lord will raise me up with my heart’s desire for my ministry destiny. Thanks Doug! I am sorry for your losses Lynn. You are so precious to God. I pray now that the desires of your heart for ministry come to pass. Congratulations on the new move though, I have heard Salt Lake City is beautiful. May this new season be filled with such joy and passion for all the things God is doing in your life! I had been seeing 11:11 frequently but was hearing something different. I have been hearing it was time. IT spoke to me a yes from the Lord, from our Abba. In digital language, 0 is no and 1 is yes. The priests, I should say High Priest (like Jesus is for us), under the old covenant had the Urim and Thumim, stones in the breastplate he wore. David would consult the Lord for a yes and no. All God’s words to us are yes and amen in Christ. When we ask God for direction, He responds with yes or no, sometimes after a conversation in which He imparts understanding of the matter. Jesus said, “Let your yes be yes , and your no be no.” Everything else can get us distracted. I am listentening while I right. Oh, the times I have waffled, but He is so gracious and patient. When I was seeing 11:11, I heard great encouragement to keep right on going where I was headed. Four yeses from him are better than 1. Whoops, another 1! Hahaha. Yes! Thank you so much for sharing Mark. I love that you have already been hearing God speak to you through this number. I bless your ability to hear God! May the Lord Bless you Doug Addison !!! Thank you for your prophetic words.This number 11 you talk about, is one of the numbers we keep seeing,we see literally EVERYDAY,all of our computers,clocks even at work !!! WOW !!! !!!! When I read this ( thank you for the email) I cried so much,I was overwhelmed by the holy spirit as we have been waiting( and still are) for our breakthrough,this tells me so much. Can you please tell me , What does it mean when God has given you a month,day and year of a promise you expected and it hasn’t came to pass yet? ( date already passed) I hope you can give me some insight on this Thank you and God Bless. Hey Tammy, it depends. It could be that it got delayed for some reason or you might of heard differently than what He was saying. You can go to God and ask Him what happened. It might take a little to get the answer but as you seek the answer from Him He will answer you in time. Praying now that God gives you insight on that date. Bless you <3. Wonderful, that is amazing you do that. I love your attitude, reminds me of that song, “He’s in the waiting.” Bless you. Thank you. I have been seeing these number the summer and this just confirmed so much and the season that God has revealed that I am in. Praise God. Thank you do much for that!! I have been seeing this for months! I also have been going through transition as well as grieving the death of my mother.It has been 7 months.I have searched for meaning about 11:11 but this article really helped me to see clearly why and what His is wanting me to know. Amen! Praise God! Oh, wow! This is right on target for me. The Lord has shown me over the past several months the importance of the number 11 (and the number 22) in my life, and this really confirms what He has already shown me and also what He has in store! Thank you, Doug. Since March 24th I’ve been seeing 11:11 or 1:11. It started out once a month and has gotten more and more until now it’s daily! Even when it’s not 11:11 I see it, like last night i looked at my husbands clock and it showed 11:11, but it was really 10:45. He sets it early to get up in time. I’ve had no clue what it meant, and tried to find answers, but nothing as complete as this! We are in our early 60s and have been walking through unemployment off and on for 9 years, and are currently unemployed. I believe the provision that is coming will open a way to move forward in ministry as He has been preparing, teaching, and revealing Himself to us! I’m so excited to read this. It’s as if you wrote it specifically for Me! THANK YOU! Aw, I love that Patty. Thank you for taking the time and reading it. Bless you and your husband, praying now that the Lord provides financial blessings for you guys. Hey Laura. I see 444 often too in this season on the clock. Here is one of Doug’s articles on other numbers,https://dougaddison.com/2014/09/adding-it-up-what-do-numbers-mean-in-dreams/. You will find more insight on the number 4 there. Woohoo! Good day to be born my friend! I have followed these words daily for 4 years and they have marked my life journey prophetically with acuracy and amazement. I have seen 11:11 so often that I have shared it with others. Today, again, I am in awe of Daddy Gods insight. Oh wow, how cool! Thanks for being apart of InLight for so long. I love hearing stories like that. Bless you during this season of transition. Excellent read! I see the number before a big season usually, the first time was when my mother decided to go online with her business (I was helping with the transition) and I saw it again this year, and I absolutely love how God can have many meanings to one number 😀 I wanted to share with you the verse that was applicable for me in a previous season 🙂 It is Deuteronomy 1:11 NKJV: May the Lord God of your fathers make you a thousand times more numerous than you are, and bless you as He has promised you! Thanks for sharing that Jurita. Yes, I too have seen 1:11 often and was told about that verse. I love it as it totally applied to my situation as well. You’re right, God is so awesome how He can talk to us through so many different ways. Bless you! My goodness! Thank you for this. For almost a year and a half now I have not only being seeing 11:11 everywhere but a lot of double numbers. On clocks, address signs, sign posts…thank you for explaining this. I am laughing so hard right now. Haha! Yay Tina! Yes, it is awesome to get revelation for something you’ve been wondering about for a while :). Doug thank you for your leadership and revelation you share daily, God has spoken to me constantly since I discovered you several months ago, 2017 has been a hard year, through my obedience and even disobedience God has continued to speak to me through your ministry, What I thought was going to be my best year ever hasn’t panned out..YET! I’m still believing though that the best is yet to come, Also I’ve seen 1:11 constantly for over a year! God Bless! Great attitude Rob! You are a mighty man of God. Keep it up :). Hi Doug, This is a very timely and encouraging word for me. It brings confirmation for so many sudden and unexpected transitions in my life this summer. It also has given me greater clarity to why I am quite often and continuously seeing both 1:11 and 11:11. It has been increasing since June as well. I had considered writing you just a few days ago to elaborate on these numbers. Thanks so much for sharing. Really appreciate it. Ha! I love that! You are in tune with God and what He is saying. Bless you Rebecca! That’s interesting as I see 11:11 all the time and recently my husband and I stayed in a hotel and we were upgraded to 11 th floor and our room was 1111. My son and I have been seeing 1111 for about nine months. I will get a prophetic e mail from Elijah List. at 1111, my grocery receipt was $11.11. I get texts at 11:11. Your son could be going through a season of transition. Bless you both! How cool, Raya! I love when things like that happen. God is always speaking in such cool ways to us. I keep seeing 444 what does that mean? Hey Carol! I see 444 a lot as well. Here is a blog post Doug wrote on other numbers,https://dougaddison.com/2014/09/adding-it-up-what-do-numbers-mean-in-dreams/. I love that you are your wife were wondering about the numbers and how it related to your journey. It’s always good to take notice of these things and ask those questions. Bless you and your wife, may you both grow so much together <3. Praying now for you, AnnMarie, that God comforts you and gives you the desires of your heart. I ordered my material on dreams, over 3 weeks ago, when can i expect them? They were paid for, and the info said they were being sent. Hey Mary! I’m sorry about that! We sent you the information back on August 9th. I have resent you the login for it. Please email me at customerservice@dougaddison.com for further questions. Bless you! Just wondering if I could get a prophetic word over my life. I need it. Hello Latoya. Doug does not get prophetic words over the internet. I pray now that God gives your direction as to what to do next in this season of your life. Bless you! I have been seeing the number 11 since college. I remember calling my mother asking her if God speaks through numbers and she said He can speak through anything. A few years later, I got a prophetic word confirming that God has been speaking to me through numbers and to do my research on the meaning of the number I see. I noticed that I saw the number 11 before major transitions in my life. I would start seeing it before I even knew that a transition would be coming, and it alerted me to be prepared for a shift. So I am grateful for the article. It just confirms that this is actually God and I’m not crazy and that this number does mean what I felt it meant. Yes! You have a wise mama :). I love how you took notice of it at a younger age. Bless you and your ability to hear God. family going in and going out.You have really helped me so much in my daily Spiritual walk with Christ. 1:11 and 11:11 has been appearing on my multiple time watch or phone for the past 6+ months. This article has confirmed about transition. I just recently entered a tough season so Im wondering if thats also an indicator it is a sign before transition. I was born on 11/11 amd for months now ever time I look at the clock it’s 11:11 or 1:11 or I got to the store and my bill is $1:11 What’s God tell me??? Kimberly Peoples, I understand your feeling; there’s 3 generations born on 11-11, me, my mother and her mother; Not only is that on Armistice Day (Veterans Day), but now have just learned the Mayflower Compact was written on November 11th, add to that, I’ve been living in Delaware for nearly 7yrs now. It’s known as the 1st state because it was the first to ratify the Constitution of U.S. I can’t help but believe there’s a greater significance to all of this…but nothing very clear. I’ve looked at different scriptures and seen some commentary such as Mr. Addison’s but nothing really resonates within my spirit other than it’s Significant. Yes, the best way to know what a number means is ask God. He may not reveal it to you right away but if God wants you to know He will show you. God bless you both! Do a search in the Bible for verses with 11 and see if any stick out to you. Bless you! Hey Kim! I am so glad you found our website. That is wonderful you some of your purpose. Doug has a great podcast on clues to finding your purpose that you can listen to here. You might also be interested in Doug’s free e-book on how dreams in the night can reveal our purpose. You can read that here. I am excited for what God is doing in your life Kim. Bless you! This blog post will help you Loretta, https://dougaddison.com/2014/09/adding-it-up-what-do-numbers-mean-in-dreams/. God bless you! Yes Lee, it can be before transition, just as we can have a dream about a blessing before the blessing is here. It is often to prepare us for what is ahead and have eyes to see. You are awesome and I bless this season you are in. Doug wrote an article about using difficult times as good here,https://dougaddison.com/2017/03/how-to-use-your-difficult-times-to-your-advantage/. the hours between 2-4am are when the mind and consciousness are awakened and certain brainwaves are active. (like the result from meditation) Some say a higher power sending a message. Or it’s also the time that our brains store the information learned from the day and rejects what isn’t relevant. So remember the dream, pay attention to your thoughts when you wake. Thanks for sharing Valeria. God bless you! To me it has been Joel 2:22 and through the chapter. I have been reading Joel 2:21-27. Wow! I started reading it after seeing a YouTube video where out was referenced after looking up the Biblical meaning of 22’s. This is great! You are welcome Kim! Bless you! Thanks for sharing! That is a great verse to keep coming back to. Bless you! Hey Timothy! Doug wrote another article on numbers.